FIFA said it had no plans to change its fair play criteria that allowed Japan to qualify for the last 16 of the World Cup at the expense of Senegal. Senegal's elimination not only made World Cup history, it is also the first time since 1982 an African team failed to reach the second round. Senegal coach Aliou Cisse said he "accepted the rules of the game" as his team were eliminated from the World Cup on the Fair Play rule. Senegal defender Kalidou Koulibaly believes the fact his team represent Africa's last World Cup hope should motivate the players. 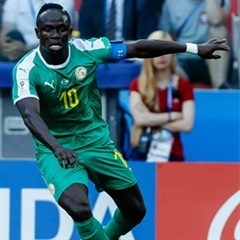 Senegal must cut out the defensive errors and find a way to get Sadio Mane firing if they are to tame Colombia and reach the World Cup last 16. Recap all the action from the Soccer World Cup Group H clash between Japan and Senegal. Senegal and Japan have played out to an entertaining draw in a Soccer World Cup Group H encounter. 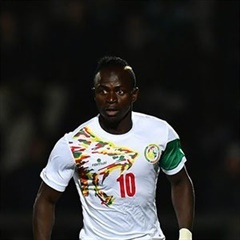 Japan plan to hound Senegal star Sadio Mane out of their pivotal World Cup encounter and are prepared to put three men on him if necessary. A Senegal fan has criticised as offensive Lord Alan Sugar's tweet comparing his national team to sunglasses sellers on Marbella beach. In an amazing World Cup moment Senegal fans cleaned up their section of the stadium before leaving after their team's historic win over Poland.